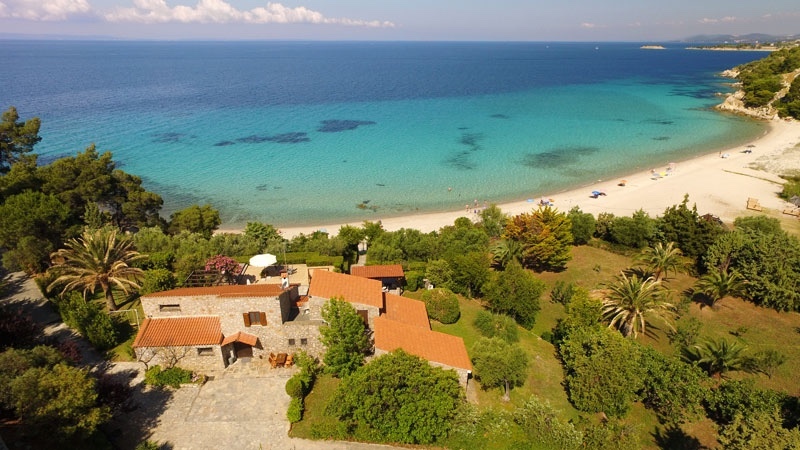 The seaside Villa Koviou is located on a very private property overlooking the wonderful Koviou bay five minutes from Nikiti, Halkidiki. 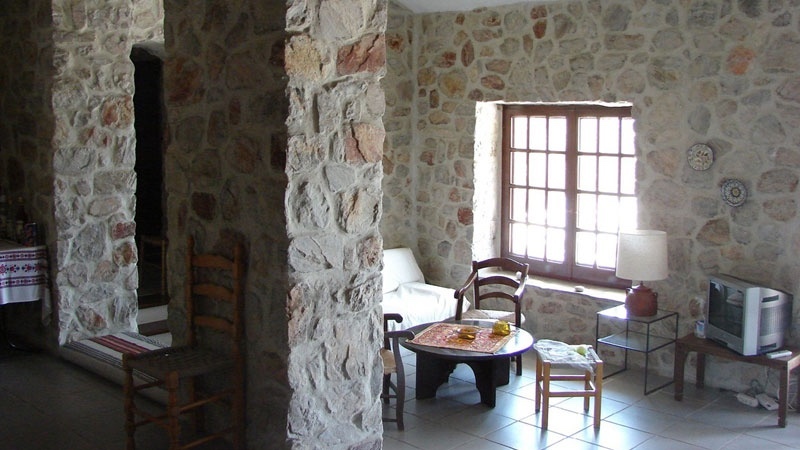 The villa is artistically constructed of stone and wood. 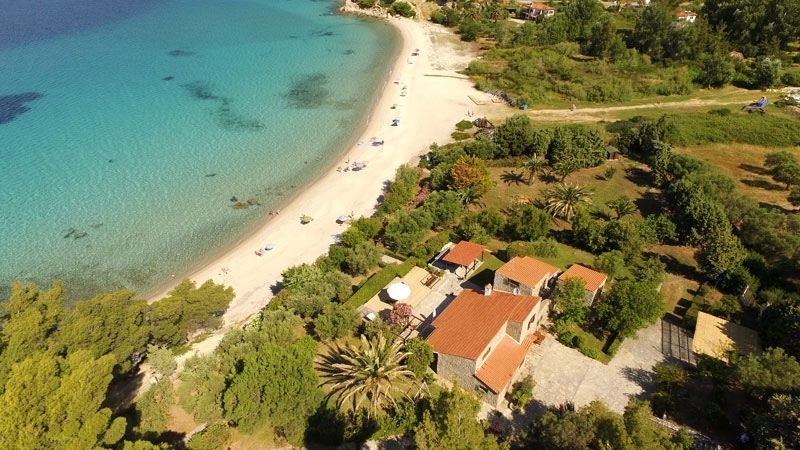 It is situated in a large secluded garden that offers a sensational view west to the Toroneos Gulf and a nightly colorful display as the sun sets. 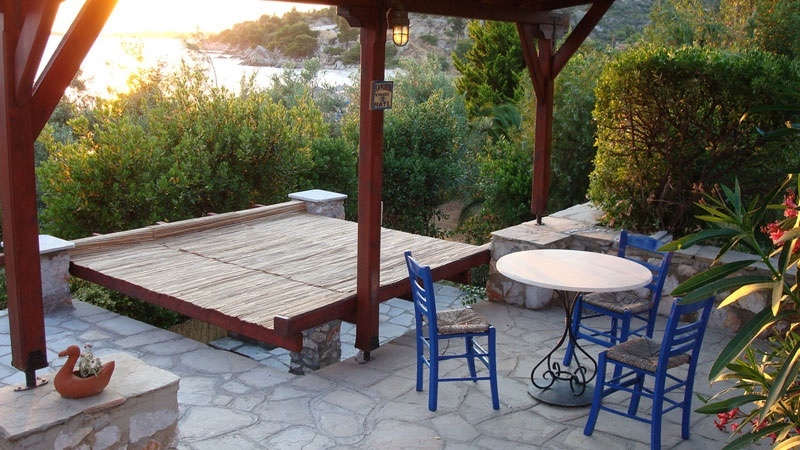 The villa can comfortably accommodate up to 10 persons. Two bedrooms have a kingsize bed and en-suite, two bedrooms have 2 single beds with a shared bathroom and there is an independent 2-bed studio with a separate kitchen. 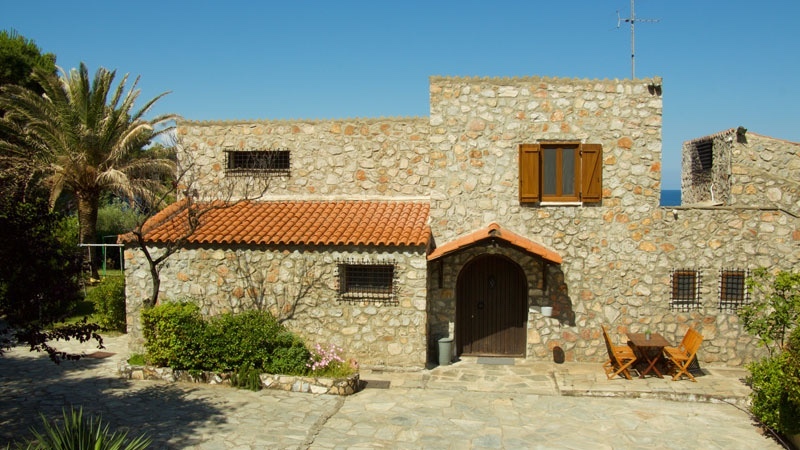 The villa is equipped with a large kitchen that has 2 refrigerators, microwave oven, oven and a dishwasher. The living room has a fireplace with a dining area. There is also a room for laundry. 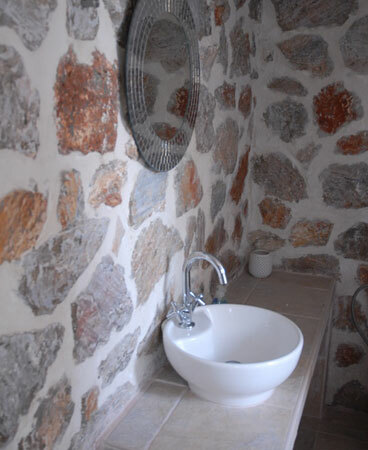 Other features are Satellite television, WiFi internet and cleaning services on request. 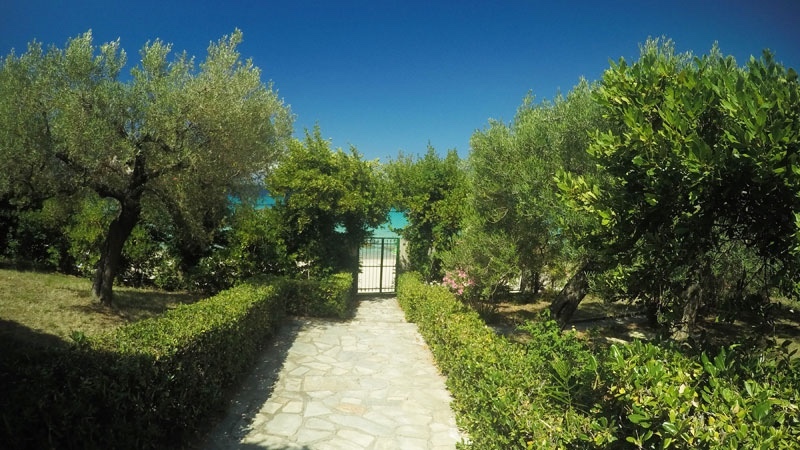 Access to the beach from the villa is through the gate and only a few steps down to the water. 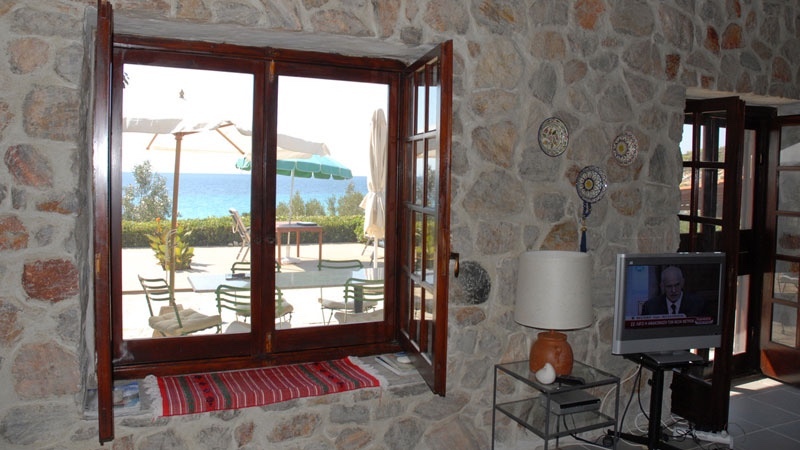 The large panoramic terrace facing the sea has a veranda with a cafe corner. Among the palm trees are hammocks so you can relax in a peaceful setting. The playground will allow children to play safely. Parking is also on site for up to 5 cars. 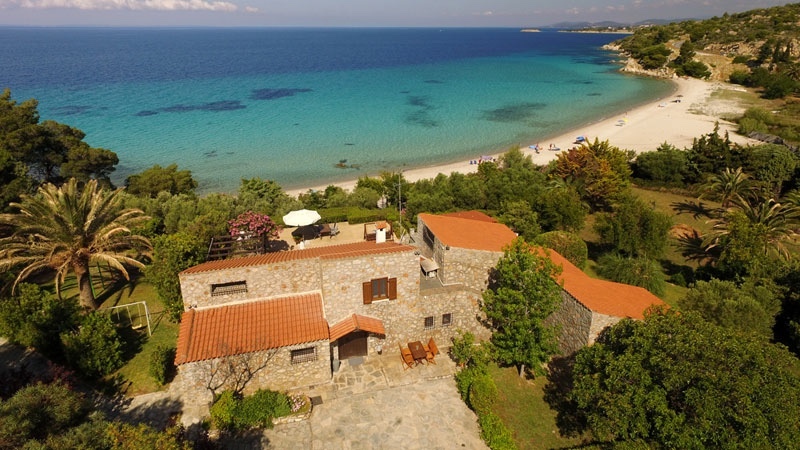 Absolutely nothing is lacking from this amazing seaside villa! 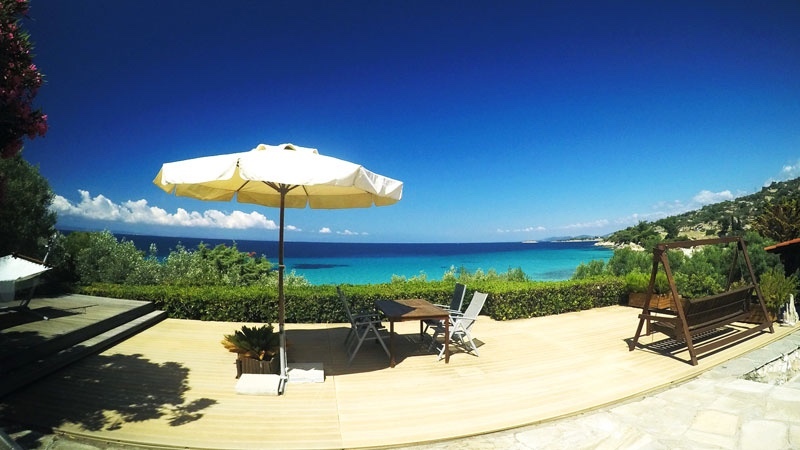 • All prices are quoted in Euro, for the entire Villa, per night. 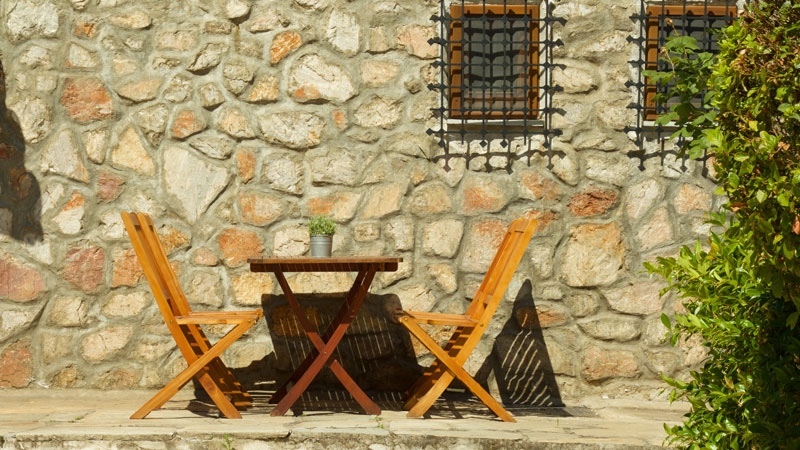 - Special rates are available for rental periods longer than 20 days. 50% deposit in order to confirm a booking. Rest 50%,10 days before arrival. •Check in time 10:00 a.m. to 2:00 p.m. and Check out time latest 12:00 noon. 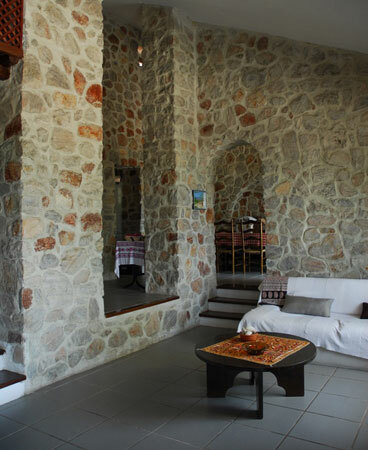 Amazing luxury stone villa for groups of 10. 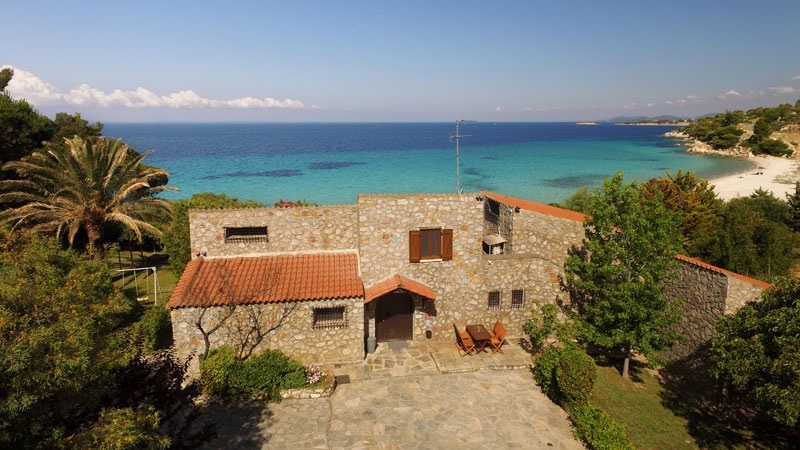 Garden is secluded offering complete privacy.